On April 5, a house in Birmingham, UK was caught by the West Midlands Police Department as the owners were growing illegal marijuana plants. 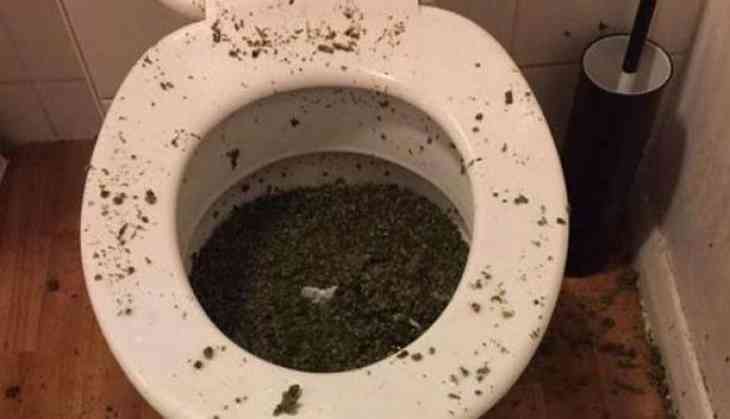 Not just the toilet pot but the whole bathroom was overflowing with marijuana. The owners planted marijuana in the bathtub, individual plants grown in the shower and trays all over the bathroom. The Cannabis Team retweeted again, "It doesn't flush its not worth the effort - you'll only be tired when you're arrested!" On April 4 also, the police discovered another house where cannabis plants were hidden inside a wall and under the stairs by a homeowner. The police tweeted the images of the cannabis growers. Though, the Cannabis Team shared the pictures of the house of social media but they didn't share any detail about the location or the date of the incident. Although the team revealed the pictures, it shared no details of the location or date of the find. Another strange incident took place in Argentina, where eight police officers were fired for claiming that mice ate over 500 kilograms of marijuana kept in a police warehouse.